Those of you that follow the blog regularly will remember that I attended vRetreat last year, held at the Porsche Experience Center at Silverstone race circuit. Once again I was lucky enough to be invited this year, with vRetreat founder Patrick Redknap taking us to London, this time to meet God! OK maybe not to meet God but the day's vendor presentations were held at the crypt on the green, specifically in the vestry room, next to the church. Probably one of the most unusual locations for a tech presentation ever! 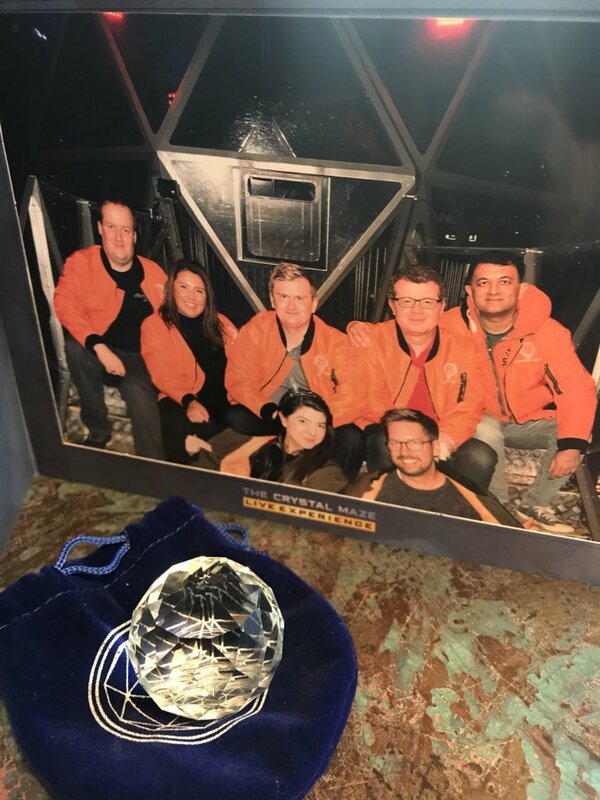 Patrick had gathered a selection of the top UK enterprise tech bloggers, Ather Begg, Michael Poore, Alan Burns, Kyle Jenner, Kyle Davis and I to learn more from the sponsors Cohesity and Zerto, as well as take place in activities at the Crystal Maze! Both Zerto and Cohestity had flown in two of their top evangelists to present to us. It was great to meet Gijsbert Janssen van Doorn or Zerto and Maikel Kelder of Cohesity. The Zerto presentation focused on their latest and greatest release of Zerto Virtual Replication, version 6. Zerto claims that Virtual Replication 6 is now much more than a single product alone and is now a complete IT Resilience Platform. I would agree with this and potentially even more than that alone. Check out my blog post on the release of Zerto virtual replication 6 here. The latest iteration of the product certainly builds around the maturity of the platform with much-enhanced cloud functionality, including cloud to cloud replication and important elements like restore from AWS being added after previously being made available for Azure. One of the reasons I see Zerto being more than just an IT Resilience platform is because of their ability to be used as a cloud migration tool. For me, Zerto has cemented their position in my product portfolio, not only as the go-to tool for site to site replication and even site to cloud replication but now also as a migration tool and a tool to protect the workloads in the cloud once migrated. 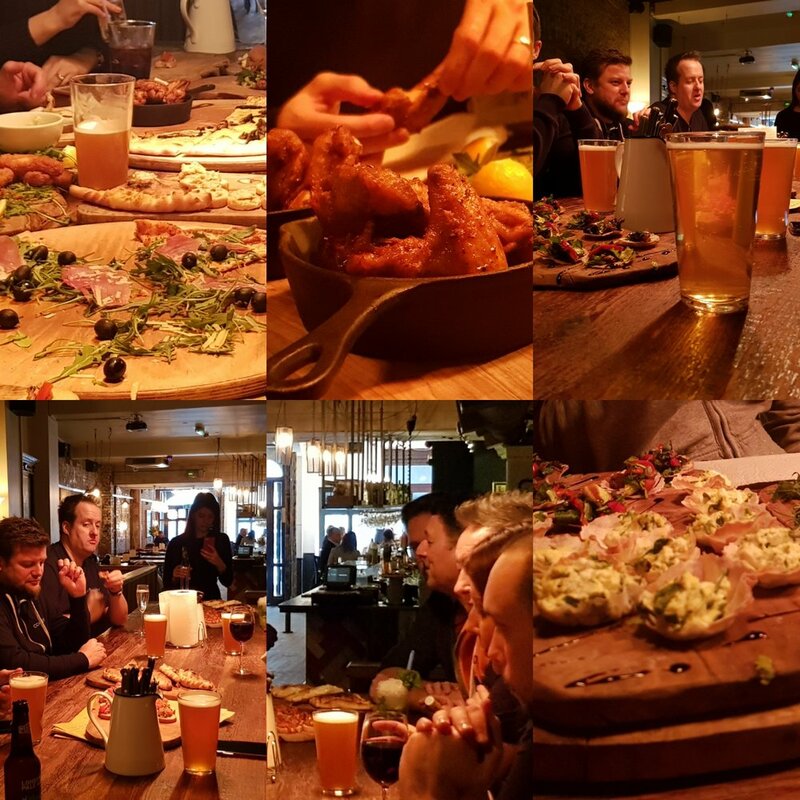 Following Zerto's presentation we began to see why Patrick had held vRetreat in a church, whilst being a lovely location it was not only close to the evening activities at the Crystal Maze but also a wonderful eatery, Barsmith's. Barsmith's put on a wonderful selection of Pizza, Chicken, Fish Goujons and much, much more. To be honest probably too much more with Patrick taking home a rather large doggy bag of leftovers, but it was lovely! After a lot of food, a nice pint of our favourite tipple and a short walk back to the church it was time for Cohesity to take to the stage. Cohesity is a hybrid storage vendor but not in the typical way you make expect, they aren't focusing on ultrafast primary storage like most. They are tackling the secondary storage market. Secondary storage being that mass of data that maybe doesn't require ultralow latency, but is clogging up your primary array or maybe you just don't quite know what to do with it, things like backups, file stores, archives and more. I will be blogging specifically about the Cohestiy platform in a later post, however it was great to hear how they were tackling this problem with a scale-out architecture built on an Intel x86 platform with integrated backup and file functionality as well as offering global compression, de-dup, analytics of data and much much more. That was it for the day's technical presentations, we were now off to take part in the great Crystal Maze, based upon the 90's TV show. We were split into two teams and led around the zones by the Maze master "Louisiana Jones" to complete activities in an attempt to win crystals. It was a fantastic experience and lots of fun, even if the team I was on the vRockstars suffered from as many lockins as we had wins, resulting in only one crystal being left at the end of the activities. I am really looking forward to taking friends and family and trying this again at some point in the future. A huge thank you to Patrick, his wife Cihan, Louise Eddy from Zerto and everyone else that made the day possible!